@minglan1 actually, I don't think he failed. ML wasn't happy, but she just refused to show it because she believes it's inevitable anyway. I don't really understand what was said between ML and Danju (watched raw) but she didn't look happy. As @cherubstomato said, he's playing a dangerous game. Basically it would backfire on him. Because she would now believe that GTY's words were all empty, and just like all men, they would sleep with multiple women. So she would guard her heart even more closely. That's why I was frustrated. Some said she hurt him with her words too, which I don't deny. But she has never promised him anything. He knew she had her past. He knew she didn't love him the way he does. She said she will repay him with her life, and everything she did has been to protect him, ensuring his safety and his reputation. He was disappointed that she didn't put up a fight and not accept..If ML wanted she could have.If she had given him the chance he could also manage to not let the concubine enter.But she completly cornered him into the fait accompli. 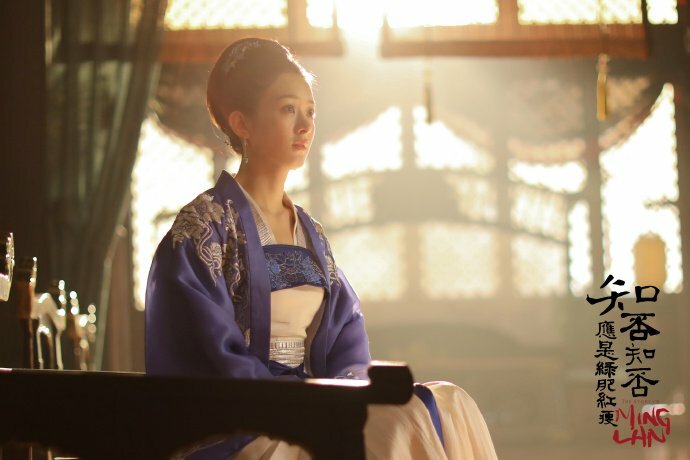 He had learned in the morning that she pretends being calm in situations because she doesn't care.She cared enough for her mom to break out of that.She didn't do it for him for the concubine incident. I guess the next episode will shed light on their thought processes when they converse. ML puts up with her facade and CL for yearsss. She puts her foot down no because she can. She knows she can stand up against it now and put an end to it. With the concubine business, she can throw a fit and get rid of one more now. But it's the 4th attempt, from all directions. From her 1st day with the maid, to the spy maid, to ED, now this. It won't stop. How many times can she say no and/or throw tantrum? You are right too.As. a viewer we get a 360 degree view of everything unlike the characters.If they understand things so quickly how would the story develop it's plots? I liked how they treated this sequence..It had comic elements with GTY huffing and puffing in being sidelined by dear wife. A poignant note of ML and Danju talking about the predicament of wives and concubines. It was balanced well. May the rating stand strong till drama ended. Amen. what you mentioned is also true. I think of all the options of concubines maybe this ladywas considered the safest in terms of disruptions to their household. To put a stop to the overzealous attempts at sending concubines something concrete needed to be done,so that this method is deemed unsuccessful. Hopefully the message will be read that way by the Gu clan and they will give this strategy a break. In absolute terms GTY has not failed but he belives it to be so.If he thought otherwise the facade to torment his wife some more would have continued..He wouldn't have let her off this easy for putting him in this predicament given his temperamental nature. You are right too.As. a viewer we get a 360 degree view of everything unlike the characters.If they understand things so quickly how would the story develop it's plots? I liked how they treated this sequence..It had comic elements with GTY huffing and puffing in being sidelined by dear wife as well a poignant note of ML and Danju talking about the predicament of wives and concubines. It was balanced well. The maid's segment was hillarious.Even xiaotao and Shitou's conversation was sweet. I love the pair. 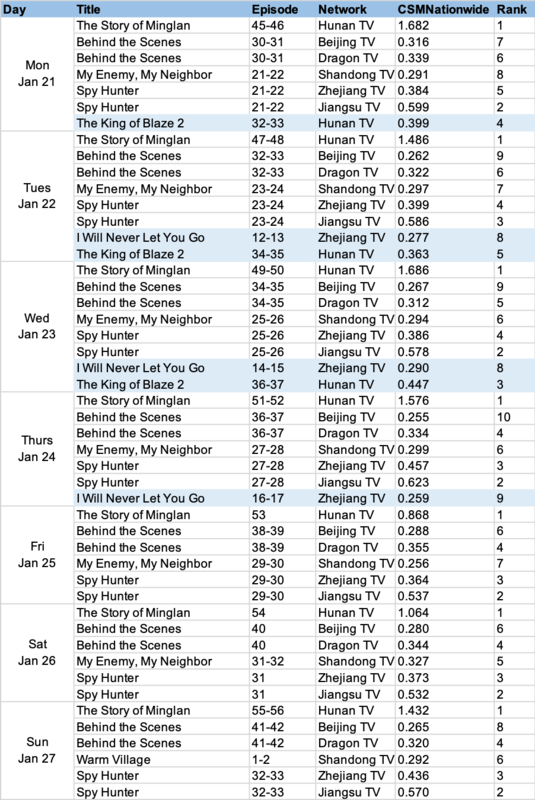 The way GTY got mad at ML being busy with eating when he was trying so hard to draw attention was simply..
Candle in the Tomb: The Wrath of Time,Legend of Hao Lan and Exclusive Memoryare the newly-airing web dramas on the list. Lol.. Ml is a foodie. How can he compete with food??? will it be banned too if they're aired from web online sites? I worry if it is. I think there're a lot of such banned movie and drama that are aired on online sites instead of tv station. First home when I saw he did not sleep with the concubine she was still in the same clothes fully dressed on the bed and he was still in the same spot when he walked out. And second she had to accept the concubine the conditions she had three options she said you either had a concubine that was gifted to you a concubine that was raised or concubine that you know somebody chose and because this was gifted the purpose of this concubine was to cause a fight between husband and wife and he was going to call the fight between the families cuz now he's the head of his family and if he caused a fight between his aunt and any other extended family it would cause more division in the house so she said might as well get it over and done with. A bit off topic but I wanted to discuss a bit about the Emperor, ED and palace politics. So I've read in a previous post that GTY pubically asked for leniency for his GU family on purpose as an elaborate scheme. Do you guys still think that is the case that GTY and the prince are scheming to get rid of the ED's power? For me, I'm a little unsure since ED and GTY's stepmother are both scheming against him but I guess that's the norm for the latter Also, what are anyone's thoughts on the current Emperor? To me, he seems a bit eh, this is coming from the fact that he was refusing to become Emperor even though the previous Emperor was in a precarious situation. Anyways, onto the ED, at first she was fine but as we know, she seems to want to hold onto power. Commenting on her conversation with GTY in much earlier episodes, I think she was mentioning how her husband (the previous Emperor) was generous and benevolent and yet GTY seems to be going back on it (something along these lines...I can't exactly remember but you'll get the gist of it). On this point, I do agree especially watching the scene where the palace maid during the rebellion mentioned how the Emperor didn't say anything when she hadn't done her job of getting the tea. Plus the ED also said that he was forgiving (?) towards the palace servants whenever they made a mistake. However, being a kind Emperor doesn't necessarily make you a good ruler. I say this because he was about to make the heir from the Yong (?) family the Emperor supposedly. Yes, the Yong family had lots of power and connections and we didn't get to see much as of them, so I can't have quite an accurate grasp of the personality of the Yong heir. However, what I can say is they did abuse power and justice. For example, they had a noble daughter (I don't know her name) kidnapped, raped and made a mockery in the crowds when she was thrown out simply on the basis that the Yong/third princess wants to marry QH. They refused the other family justice in finding the culprit (for obvious reasons) due to their might, connection and power. Furthermore, they held QH's father captive (QH's mother even begged the ED) and threatened QH with ML and her family's disappearance. QH even laughed when he said something along the lines of what has the world/country become with future rulers like this ... ED seems to have ignored/not known this about the Yong family which she has a lot of support from in the current palace politics. If you read this all, thanks it's quite rambly and disjointed at times but I find it interesting. Thanks for mentioning about the palace politicking.I initially thought that GTY and prince Huan had a plan in place for bringing the downfall of ED but not so sure right now. They did plot to steal the jade seal from her and are aware of her intentions.It seems from the conversation between GTY and prince Huan after MN incident that they are dodging her moves for now. If it weren't for his ambitious son and GTY's coaxing don't think the current emperor would have ended on the throne.He is a guy who likes a peaceful life without complications.The palace just makes him walk a tight rope of maintaining his balance of power.Given a choice he would prefer the leisurely stroll among his wheat/paddy fields instead. There was a mention in one of the earlier episodes by GTY that ED is stalling the reforms that emperor wants to implement.She has her own people in positions of power who are corrupt and is unwilling to let them go. Owh ooo did not know about these new restrictions. No wonder few chinese dramas are left hangging halfway without English subs.. sob sob. Ep 51.. really broke my heart. I cannot imagine, after years of searching, to discover the child dead! Can't GTY be more firm in handling them (discretely). In this respect, I feel GTY is very weak. Yes of 'cos he has to be cautious of his position.. but there are so many ways esp him having so many people at his disposal to do all the dirty work for him. (eg banishing MN). Finally the political aspect is starting to kick in. QH fairs way better as an antagonist to TY. I want to see his transition/change in attitude through the course of the drama, since his scenes mostly consist of hanging around his manor & hopelessly romanticizing ML. Even his earlier interactions w/ ML is quite abysmal. During his family's predicament, I pity him. He's been a dull goodytwo shoes, so it will be interesting how he strays from that image & be more conniving & methodical in the political scene. QH's wife is quite witty herself. Since his initial appearance & into 40 episodes, his character development has been non-existent. Now that he's part of the imperial palace, it's going to be interesting how QH work his way in favor of the imperial/dowager's power. What would you suggest him do? Kill them? Or imprison them? He's the head of the household now, he has to protect them whether he wants to or not. Anything bad happens to them, he could be implicated too, because technically, they are his responsibility. As long as they behave, there's no reason for him to handle them. MN commits grave crimes towards him, he and ML didn't even dare to touch a hair on her head, but she still manage to bite him in the behind. Right now he can't afford to make any mistake with ED and QH watching him like hawks. Not to mention his scary stepmother, she's already gone around tarnishing him and his wife reputation, they don't need to give her more opportunities to harm them. Remember, the whole capital still thinks of her as a saint, if anything happens to her, it would definitely blamed on him. If he was alone, then he could be reckless, but he has a family now, ML would never let him do anything rash. QH still has ML in his heart grinds my teeth. Move on dude. He's like a fly ready to be shoo away w/a bug swatter. He fails in comparison to TY. TY is an A+ in my book & exceeds in everyway character-wise.